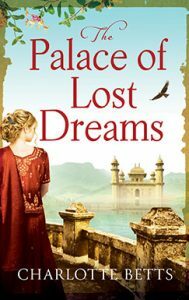 I am delighted to announce that The Palace of Lost Dreams is one of six historical novels shortlisted for the prestigious Romantic Novel awards 2019. The Romantic Novelists’ association annual awards are the only national literary prizes that recognise excellence in the genre of romantic fiction. In 2019 they comprise the Goldsboro Books Contemporary Romantic Novel Award, the Goldsboro Books Historical Romantic Novel Award, the Books and the City Romantic Comedy Novel Award, the Sapere Books Popular Romantic Fiction Award, the Fantasy Romantic Novel Award, the Shorter Romantic Novel Award and the Katie Fforde Debut Romantic Novel Award.